Many of the railings to be found in seaside resorts like Brighton were removed in the 2nd World War when they were melted down to make planes for the RAF. 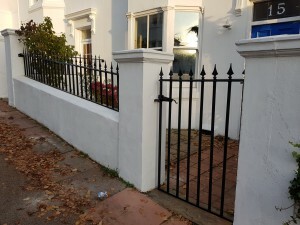 But on this job they it was the salty air that had destroyed the railings and gate at this period property. 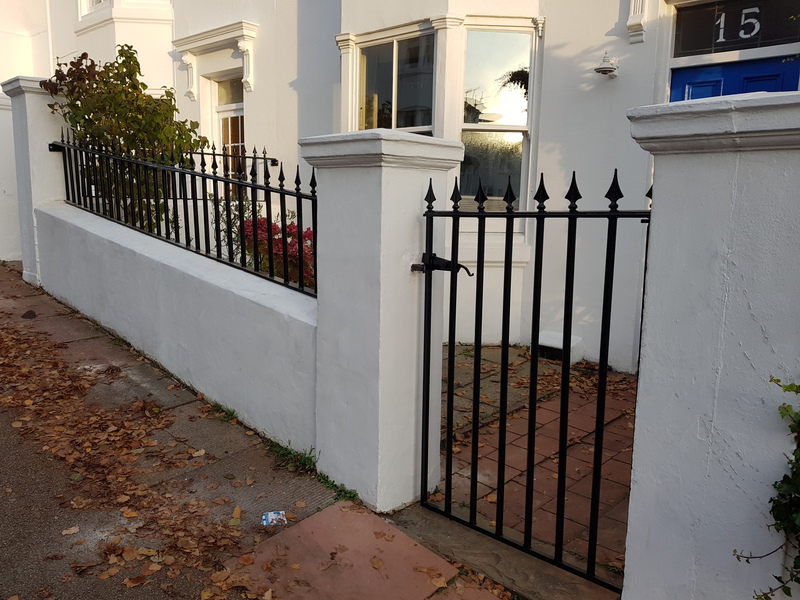 This month I’ve removed the rusty old railings at this property in Brighton and replaced them completely with a brand new solid gate and finial topped railings that match the original deign required for this listed property. The zinc spray and modern powder coating means the owner will never have to worry about corrosion.